Every once in a while Wisconsin & Southern puts together a big train in Plymouth. This is just such an example, 22 cars' worth, many of which are loads of large rocks, destined for Galveston, Texas. 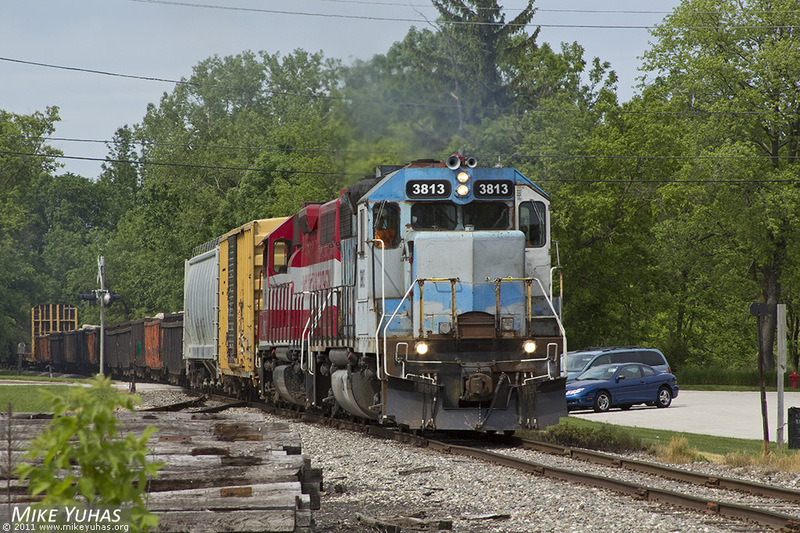 The train, L243, is seen here on Canadian National's Saukville Subdivision.